Baby Shower Favours (or Favors) area a relatively new introduction to the UK. Favours can be used as 'going home' gifts to guests, left on the table (like wedding favours) or some are so beautiful that they make a lovely little 'stocking filler' gift for mum to be. 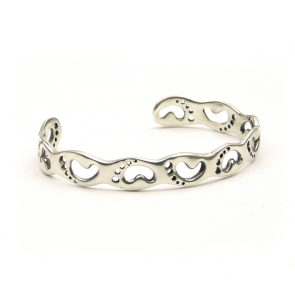 Whatever you choose you use the gifts or boxes for, they are sure to raise a smile on the recipients face! This unusual favour box centerpiece is the perfect complement to any ladybird theme shower party! 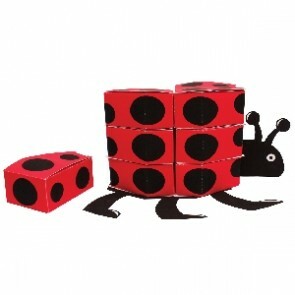 The cute red and black dot card favorboxes stack together to form a 7 inch tall ladybird! 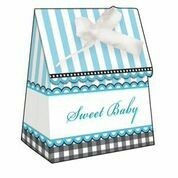 Happi Tree favour boxes, ideal for giving baby shower guests a little sweet reminder of mum to be's special event. We have been searching for a Mum to Be sash for ages and we're thrilled to offer this gorgeous one. 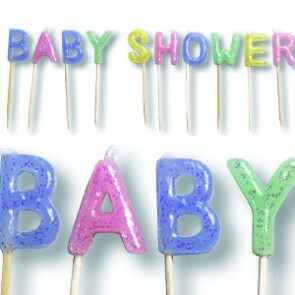 A high quality sash that has a lovely embroidered text will make a perfect surprise for a baby shower! 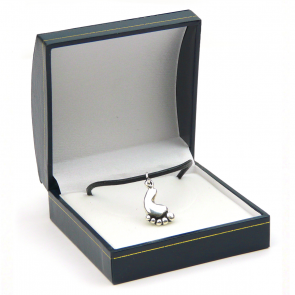 We wanted to find a smart favour box that would be suitable for a Baby Shower and think we have come across the ideal one. 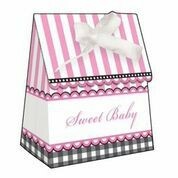 Made from Polypro rather than card, these stylish boxes with a bow lid are a little different to the typical Baby Shower favour box. 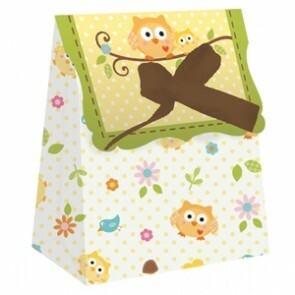 Brighten up your table with these striking Paper treat Bags - great for using when wrapping gifts up for mum to be! How cute are these candles? 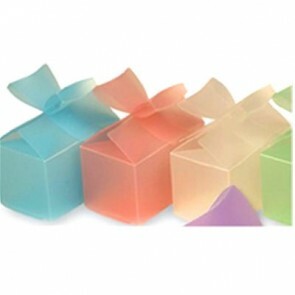 Spelling out the word Baby Shower with ten individual pick candles these will make a fabulous addition to any special cake that you have planned for the expectant mum!